Although there is no exact definition of the perfect nose, the size, shape and appearance of your nose should be in balance and blend with your other facial features. If you feel that your nose is not a good fit, you may benefit from rhinoplasty surgery performed by plastic surgeon James Matas, MD. Dr. James Matas, a board-certified plastic surgeon in Orlando, Florida, has extensive experience performing rhinoplasty surgery and other facial plastic surgery procedures. 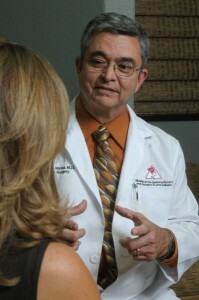 At your initial consultation, he will discuss your goals and motivations for surgery, along with assessing your physical and emotional health and reviewing information you provide about previous surgeries, previous injuries to the nose, past and current medical conditions, as well as nutritional supplements, herbal remedies and pharmaceutical medications you take. He will examine the structures inside your nose and the thickness of your skin, as well as the relationship between the size and shape of your nose compared to your other facial features. He may recommend that other procedures be performed at the same time as the rhinoplasty, in order to correct a breathing difficulty or further balance the facial features. To correct breathing problems, the nasal turbinates may also need to be reduced to allow for better air flow passing through the nostrils. 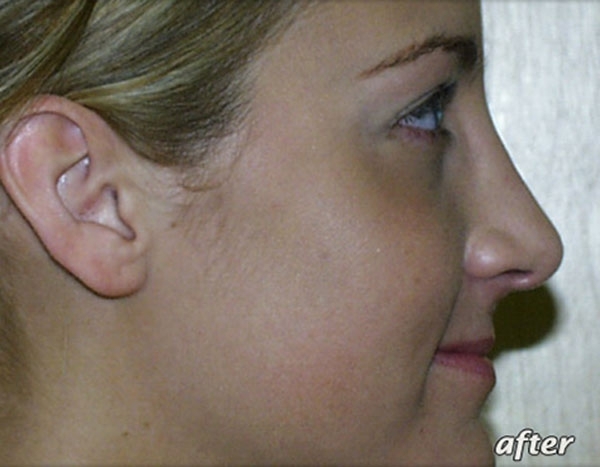 Sometimes, a septoplasty is performed to straighten the septum, which is the cartilage that divides the two sides. To better compliment the results of rhinoplasty, chin augmentation surgery can be combined in order to give the chin more prominence. You will also be provided with the financial details, along with a suggested plan of action should you decide to take the next step toward nose reshaping. Plastic surgeons perform rhinoplasty in two ways, either making the incisions inside the nostrils (closed rhinoplasty) or under the nose across the columella (open rhinoplasty). 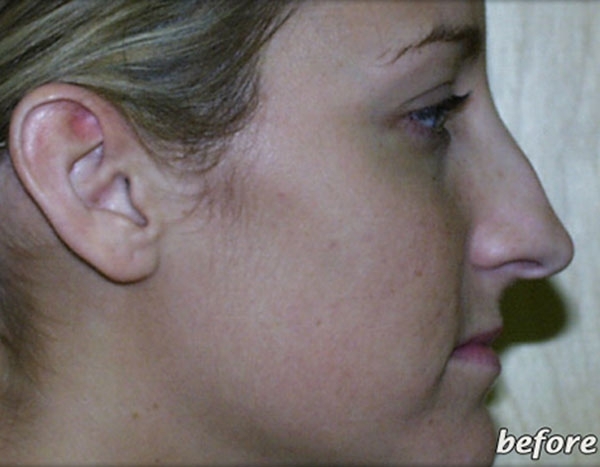 Under most circumstances, Dr. Matas prefers to use the open rhinoplasty technique because it provides him with the best visualization and control. After making an incision to the columella, the small strip of skin under the nose that separates the nostrils, the nasal structures can be accessed by Dr. Matas. Depending upon your individual circumstances, Dr. Matas may break and then reshape the bone in your nose. Then, he trims and reshapes the cartilage, placing suture along the way to reinforce its new position. 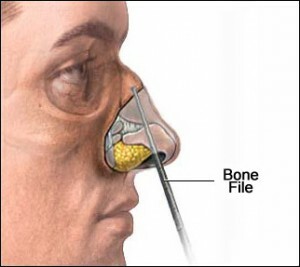 In some patients, he may build up the nasal bridge by taking a piece of your own cartilage and shaping it into a graft. If your nostrils need to be narrowed, he will remove a wedge of skin at the base of the nostrils. Once he has made all the changes necessary, the skin and soft tissues are then redraped over the newly shaped framework of bone and cartilage. The surgery is performed outpatient and takes about two hours to complete. You will be discharged wearing a nasal splint across the bridge of your nose and gauze packing inside your nostrils. The packing will be removed the following day, but the splint will protect your nose and hold it in place during the first week. You will also have a small bandage beneath the tip of your nose. You will keep your head elevated, get plenty of rest and apply cold compresses over the eyes to help reduce bruising and swelling. There is minimal discomfort with this procedure, and it can be easily controlled with prescribed pain medication. Bruising below the eyes and over the cheeks sometimes occurs, and we provide homeopathic medications to reduce the amount of bruising you will experience. Most people return to work in about a week after nasal surgery, using makeup if there is any residual bruising. There will be subtle swelling of the nose that subsides over the first few weeks. It will be a few weeks before strenuous activities or contact sports may be resumed. It is normal to have reduced sensation in the beginning, and this should resolve within a few weeks or months. Although you will be able to see the major changes within the first week or two, your final results will begin to emerge 6 months to one year. Dr. Matas, I want to personally thank you for sculpting my nose into a beautiful work of art. You are such a talented surgeon and I thank you and your entire staff for comforting and reassuring me before and after surgery. God Bless You! If your nose was very large and you had a large bump removed, your changes will be quite dramatic and noticeable to others. Otherwise, your friends, family and coworkers may not know you’ve had nasal surgery unless you tell them.